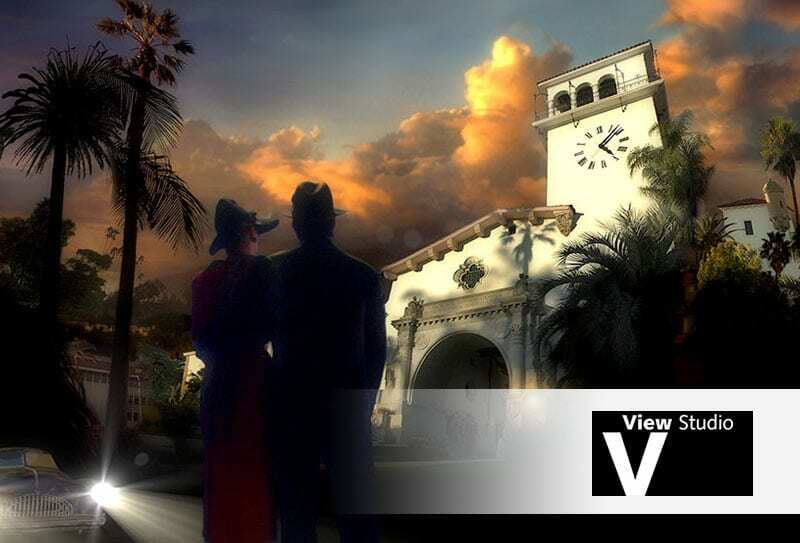 Mission Web Marketing was founded in Santa Barbara in 2002 with the goal of helping companies cost-effectively increase website traffic, conversions, and sales. Our team has been in the industry since the first commercial web browser launched, over twenty years ago. Today, the company has grown into a well-rounded team of experienced and passionate professionals who are committed to their clients’ online success in the rapidly changing digital landscape. Our long list of loyal clients is a testament to this. We truly believe that our unwavering commitment to your business, our passion, and over twenty years of e-Commerce and web marketing experience is what sets us apart from the many online services firms you could choose. In a nutshell, we focus on creating best-of-breed online experiences for our customers, then we promote them to drive more traffic and generate more sales. We also meticulously measure the results of our work to illustrate growth, campaign performance, and profitability. If you’d like to know more, Contact us today for a free web marketing review and consultation. Eric is the founder and president of Mission Web Marketing, where he oversees day-to-day company operations. Eric has eaten, lived, and breathed all aspects of web development and web marketing since the very first commercial web browser launched, more than 15 years ago. Eric has performed a variety of Internet functions, ranging from highly creative to highly technical and he has been in charge of web development and Internet marketing for several large direct marketing and catalog companies including Magellan’s Travel, The Territory Ahead, and Maps.com. Eric is considered an authority on e-commerce, web development, and Internet marketing and he has spoken at several Internet conferences, both here in the United States and in Europe. When he’s not working, Eric enjoys being outdoors hiking, biking, skiing, and sailing with his family. Felicity is our Director of Client services and is largely instrumental for taking care of our clients and managing many projects, large and small. Felicity has over fifteen years of extensive web development, E-commerce and customer service experience and she brings a wealth of knowledge and a positive, can-do-anything attitude to our team and our clients. When Felicity is not working, she enjoys spending time with her family, friends and being outdoors. Oleh is an extremely talented web developer and designer born in Drohobych, Ukraine. Bringing over 15 years of experience with high-end web development and multimedia programming to our team, Oleh is our go-to-guy who doesn’t let the huge time difference affect his commitment to availability. His specialties include front-end web development, cascading style sheets (CSS), database development, PHP, MySQL and so much more! Oleh is a true professional who is passionate about web technology and he is motivated by the desire to conquer the most technical of challenges. When Oleh is not working, he enjoys fitness, listening to music, and spending time with his family. Oh, and you gotta’ love that blue jacket. Awesome! Tom is the director of search marketing at Mission Web Marketing, responsible for all pay-per-click sales and marketing strategy and execution. Tom has over 20 years of experience in all phases of traditional and online marketing, working for software, technology and consumer companies. He also spent over 10 years managing product lifecycles with full P&L responsibility which gives him a unique perspective in shaping effective profit-driven programs for our partners. When not working he and his wife enjoy searching for retirement locations. Beach communities of North Carolina, South Carolina and California are on the short list. The search continues…. Tres Riordan is a sales, marketing and branding expert who has spent twenty years working in the outdoor, apparel and footwear industries. He held high-level sales and brand leadership roles with Dr. Martens, The North Face, and Teva. Tres has worked with many independent retailers and national accounts, including Nordstrom, Macy’s, and REI, to create brand-enhancing marketing campaigns that aligned the brands’ and retailers’ goals to execute strategic product launches. These campaigns included in-store fixtures, graphics, and online campaigns. During this time Tres realized the importance of SEO, SEM, Influencer Marketing, and email campaigns that all aligned to support product or brand launches. Tres now brings his expertise to Mission Web Marketing. The team at MWM and Tres are partnering with a select group of brands and retailers to create comprehensive sales and marketing strategies. The teams will focus on aligning online, wholesale and retail strategies to support growth and profitability targets. Fred Sherman, aka “Freddie”, is a high-level Creative Director with more than 25 years of creative development and marketing experience. Fred has managed creative marketing departments and serviced many top client accounts, including Coca-Cola, Quiksilver, Puma, Target, Mattel, AT&T, Disney, DreamWorks, FOX, and many others. We quiver in awe at his feet. Fred’s background is in graphic design, illustration, animation, marketing & advertising strategy. He has developed top-notch creative for many retail brands and developed the corresponding online/mobile experiences. Fred is also a UI/UX guru with extensive knowledge in the areas of visual communication as well as practical direct response marketing expertise. He has developed many successful marketing campaigns, brand identities, product launches, web, and mobile builds, and currently consults with Los Angeles Department of Transportation and Los Angeles Metro. We’re darn lucky to have him on the team. Diana is our talented SEO Manager who is responsible for planning, implementing and managing our clients’ overall SEO strategies. She also handles link building, social media, email marketing, and content marketing efforts. Diana has worked with a number of retail brands including e.l.f., Lenovo, Oneida, Foster Grant, and Ashley Stewart. Her experience and knowledge in digital marketing is instrumental in helping e-retailers succeed online. Though she started off as a writer and earned a graduate degree from the University of Pennsylvania in liberal arts, Diana can’t seem to get enough of digital marketing and its ever-changing influence on businesses. She is continuously inspired by its latest innovations and strives to meet the marketing goals of her clients on a daily basis. When not hunkered down at her desk, Diana practices her asanas, reads a good book, or hangs out with amazing people. Mission Web Marketing is in good hands with Kathleen. She has nearly thirty years of experience as an office manager and bookkeeper and is up to speed on the latest technology to keep our financial department running smoothly. Kathleen has worked for us for the past eight years and has known Eric all his life(She’s his aunt). In her free time, she enjoys entertaining, cooking, travel, and exploring new places. In fact, Kathleen recently pulled up her roots in San Diego and moved to the Raleigh Durham Chapel Hill area of North Carolina, officially making Mission Web Marketing a coast-to-coast company.